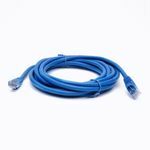 Create custom network cables with a 100 pack of Modular RJ45 Plugs for Stranded Cables. 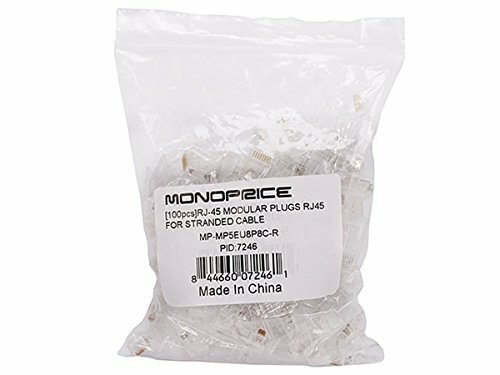 Cap off the ends of any stranded ethernet cable with this bulk package of Modular RJ45 Stranded Plugs. 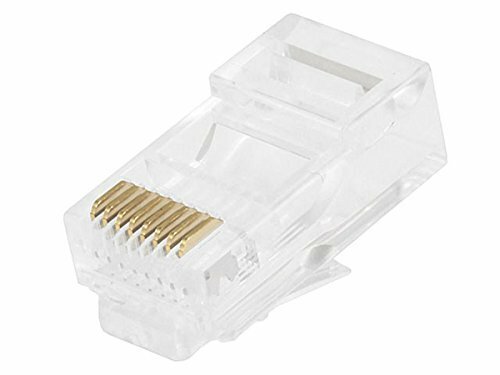 RJ-45 MODULAR PLUGS RJ45 - 100 PACK FOR STRANDED CABLEOEM Pack of 100 Qty. 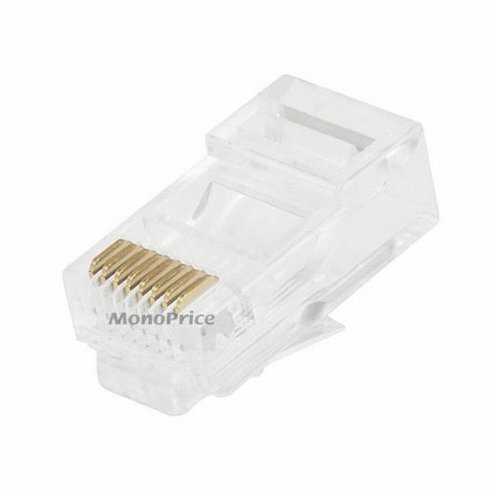 RJ45 8P8C Network Cable Heads For UTP Cat5 Cat5e - Designed for Stranded cable Crimp on RJ45 connectors. Gold plated contacts Clear plastic housing. For Stranded wire cables. 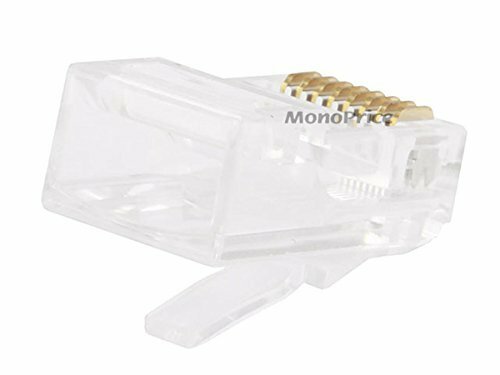 Click the following link for an installation guide: Monoprice continually strives to improve its product line to bring our customers the best products available. Therefore improvements and physical design changes may be made to listed specifications without prior notice. Item received may not match photo or specs shown. 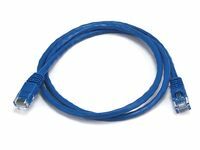 Gold plated leads for better data transmitting and higher signal strength. I've seen just a handful of negative reviews for these plugs, but they are working just fine for me. 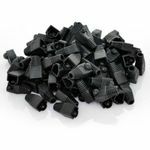 It's possible that the quality of the crimper makes a difference in how reliably these will make a connection. The trendnet crimper is pretty good. Work fine no problems with my klein cat5e crimpers. I saw some bad reviews about the tabs getting damaged after crimping but from my experience that's usually indicative of a lousy crimper. I used about 30 of these earlier today and they exceeded my expectations. No problems, great product, great price. If you spend more than 10 cents per connector, you're being had. Tried 4 of this connectors, cable tester found errors. Before you say it was me. I put two of my tried and true connectors on the the cable tester read 100%. I will try a couple for of these just to see. But the first 4 did not impress.